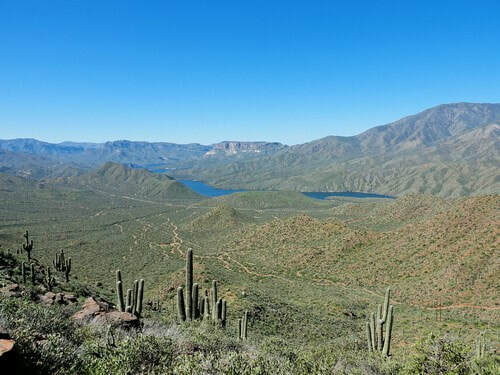 ​A crested saguaro and great views from a ridge high above Apache and Roosevelt Lakes. 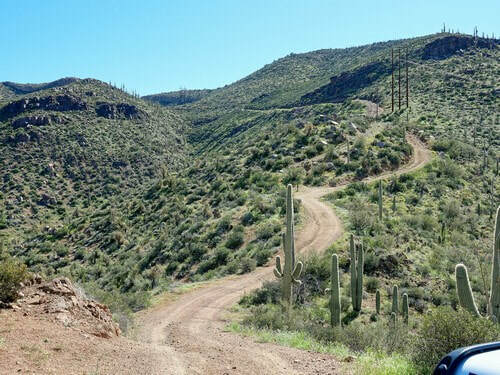 Fun trail at the north end of Apache Trail GP. 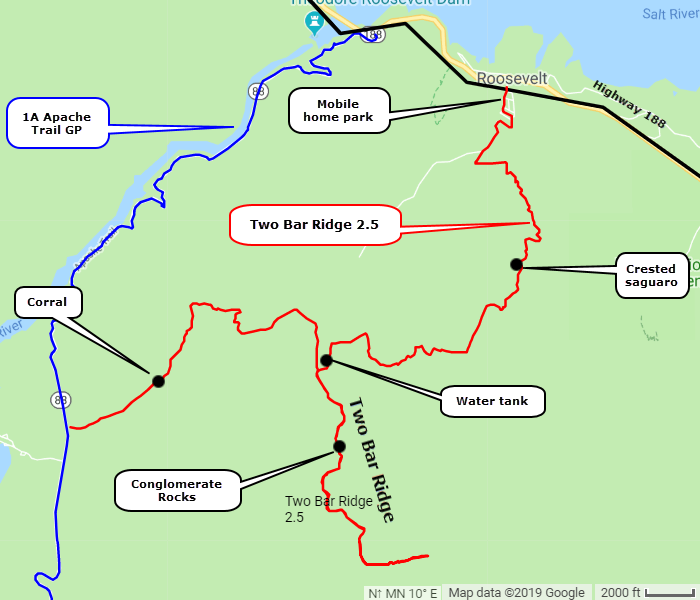 This trail starts from Apache Trail near Apache Lake, climbs nearly 2,000' and runs along Two Bar Ridge in the Superstition Mountains then drops back down to Highway 188 near Roosevelt Lake. 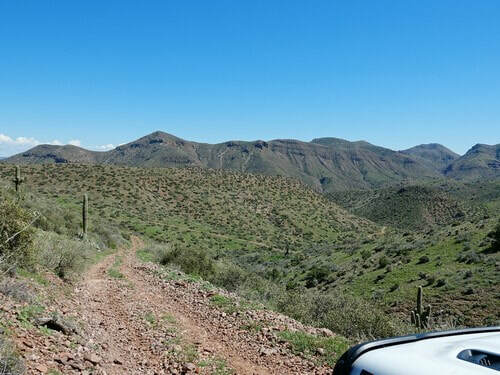 ​We describe this run from Apache Trail to Highway 188 but it can be run in either direction. 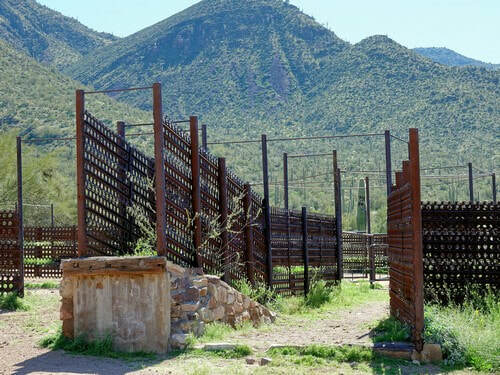 Shortly after leaving Apache Trail is a uniquely constructed corral. We have never seen one made out of this material. 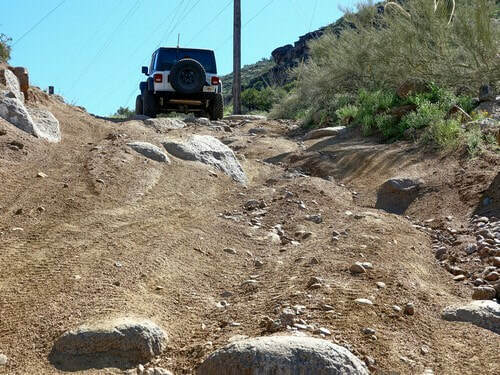 Climb up to Two Bar Ridge on a road built to construct the power line. A few of the original poles are still standing. This washed out area is one of several similar ones on this run, thus the 2.5 rating. Great views back the way you came. There is a large wide spot part way up that is ideal for a break or for lunch. Probably can park a dozen Jeeps. 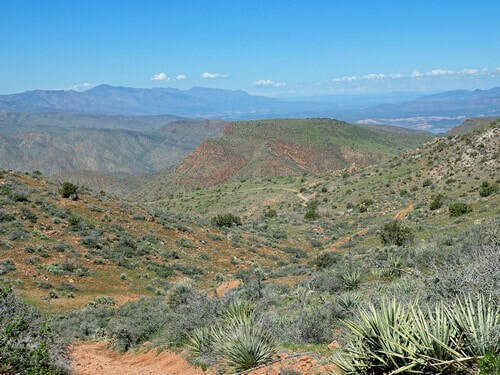 There is an in-and-out spur leading south along Two Bar Ridge. This road is rockier and bumpier but still is a nice trip. Nice views toward the Mogollon Rim from the highest point on the trail, and there is a cattle tank at the end of the spur. 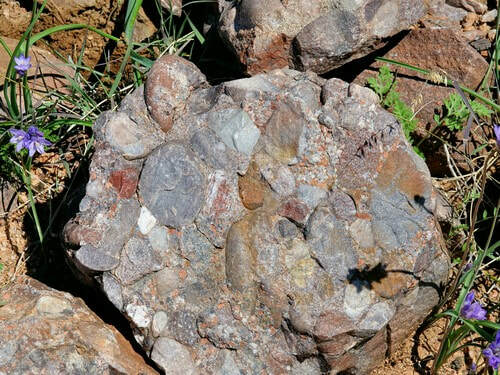 There is a large area of this unusual conglomerate rock along the in-and-out spur. 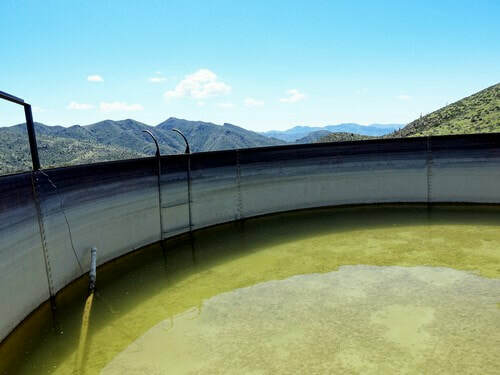 This water tank is on a high saddle after returning from the spur. 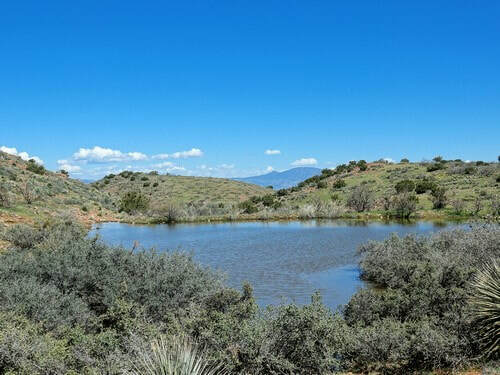 It probably feeds many of the numerous water troughs in the region. It is all downhill after leaving the water tank. 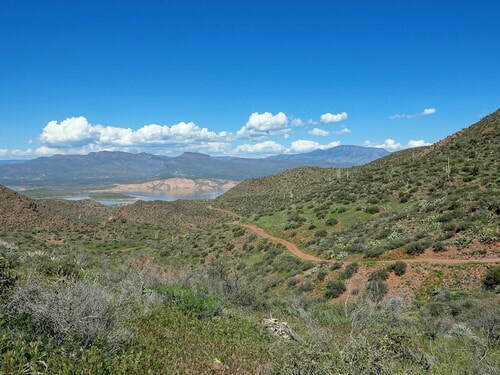 Drop down the side of Two Bar Ridge into Cottonwood Creek and follow along it toward Roosevelt Lake. 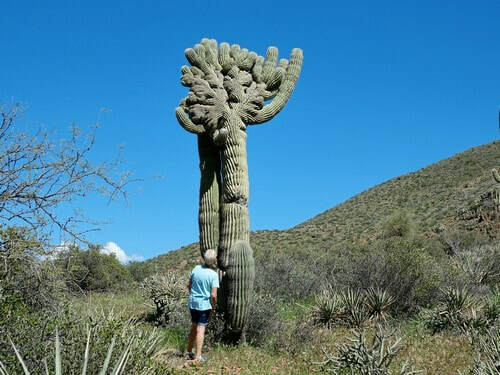 The part along Cottonwood Creek is where you will find the crested saguaro. This trail ends by running through a mobile home/RV park. If you do the trail in the other direction you will start by driving through the park. Please close the gate.